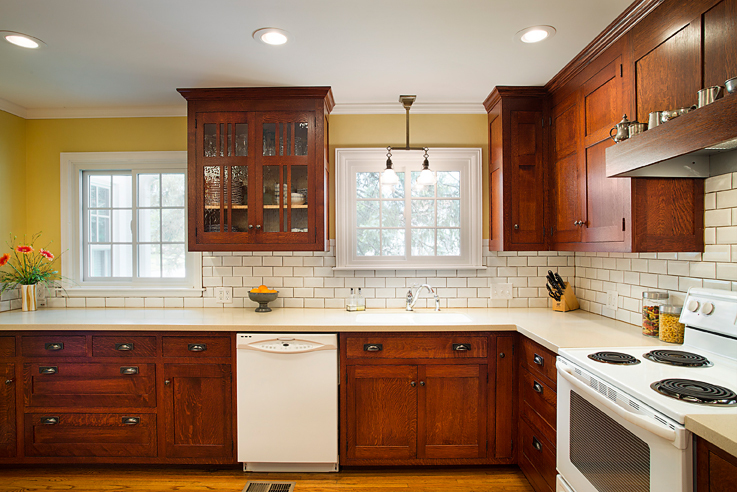 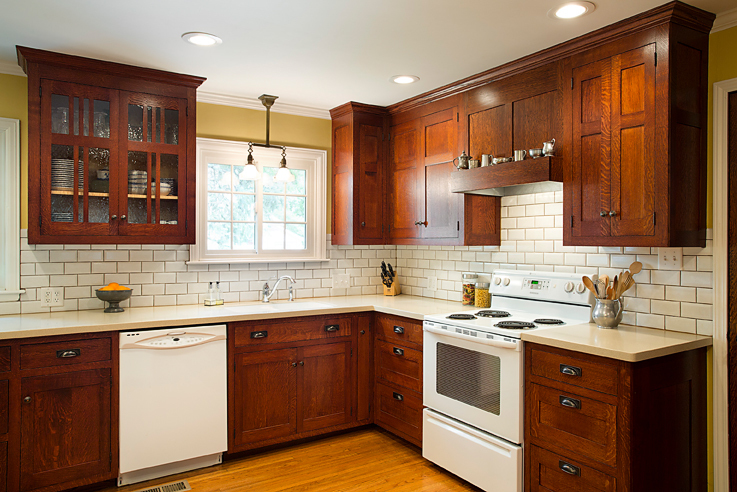 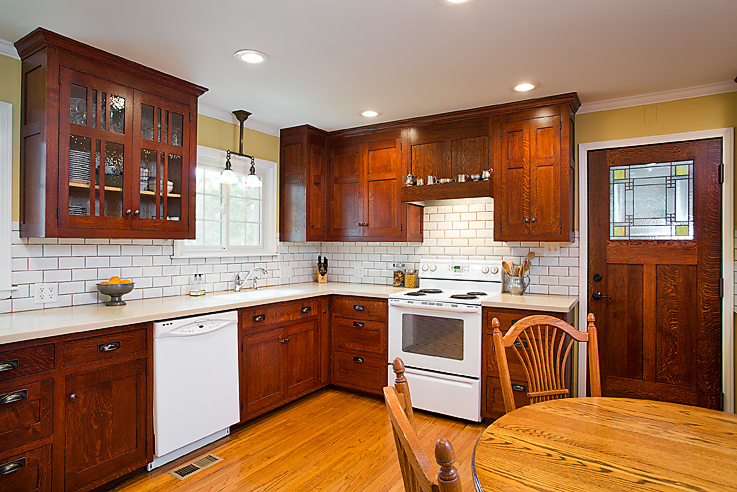 C & S Construction transformed this kitchen taking a cue from the homeowners preference for the quality and beauty of the Arts and Crafts style. 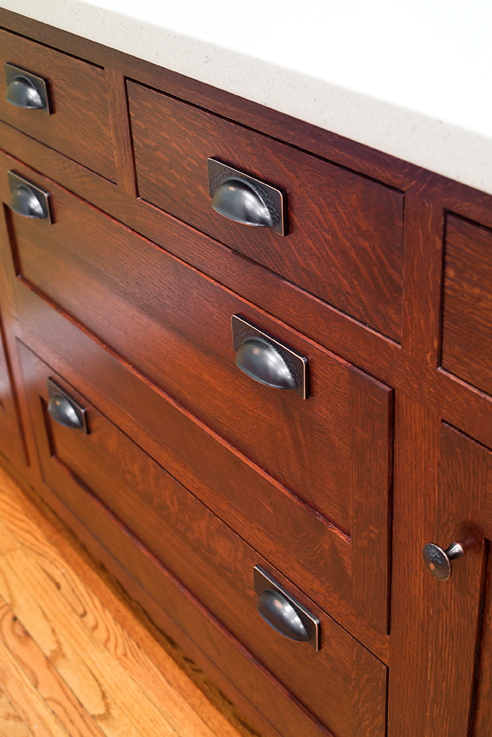 Pete made the solid wood custom cabinets with timeless details such as quater-sawn oak inset doors, along with modern amenities like pull out trays, a pop-up mixer stand and full extension soft close drawers. 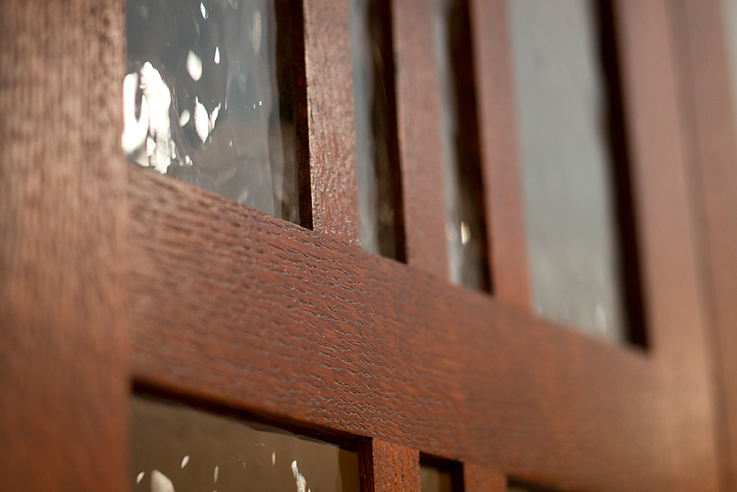 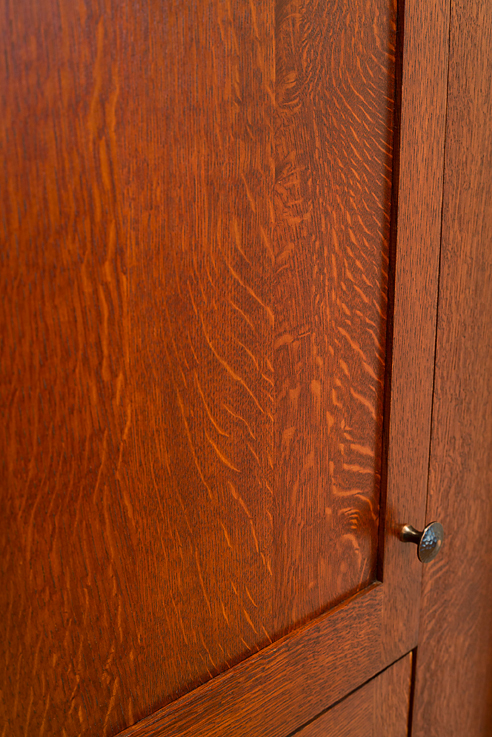 A custom exterior door was hand crafted by Pete to complete the look. 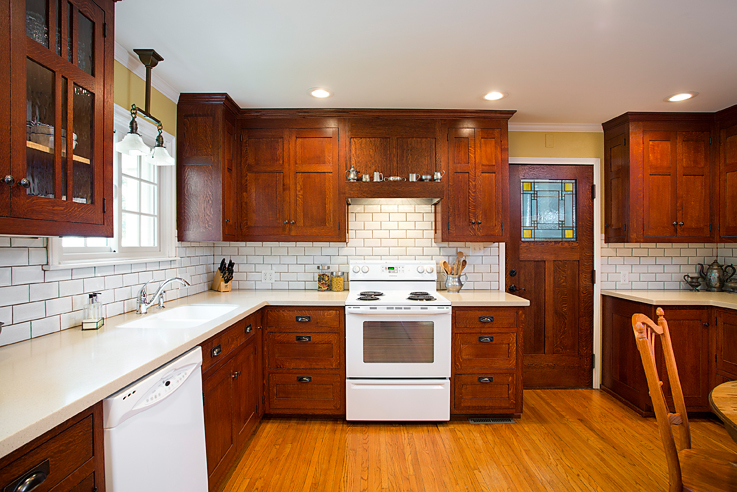 The result is a kitchen that will be enjoyed for years to come. 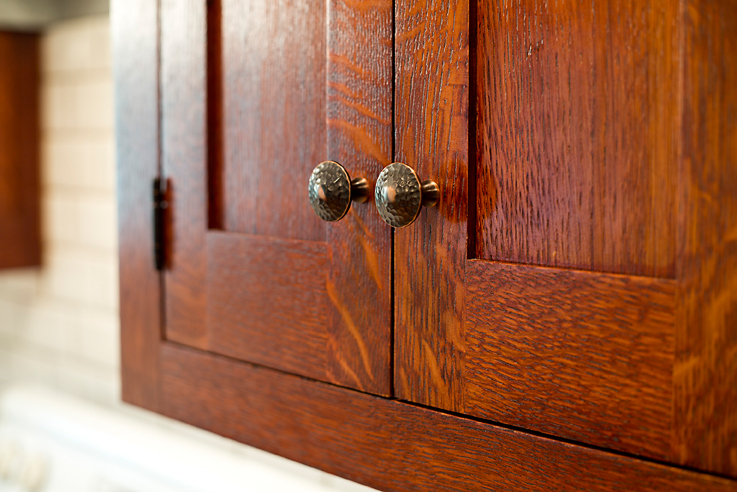 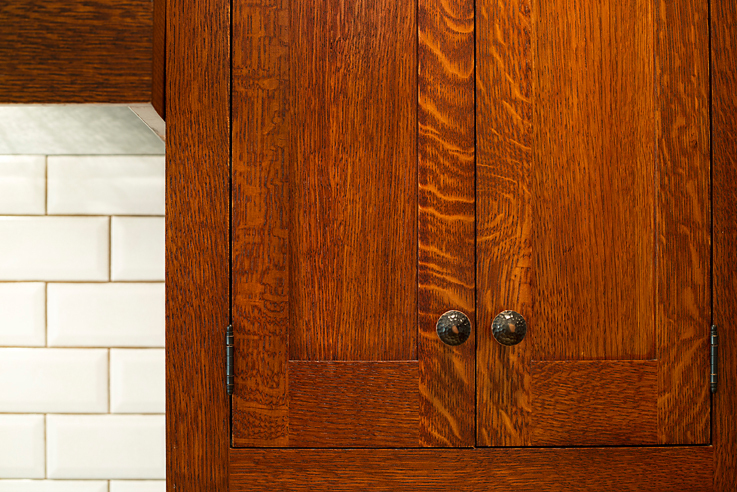 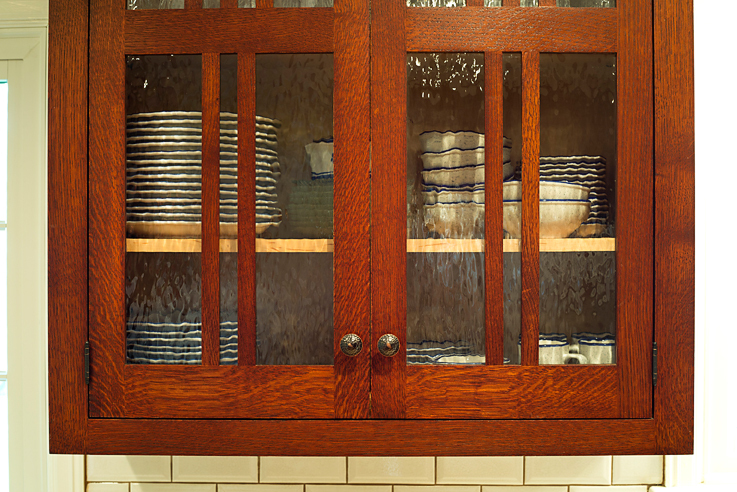 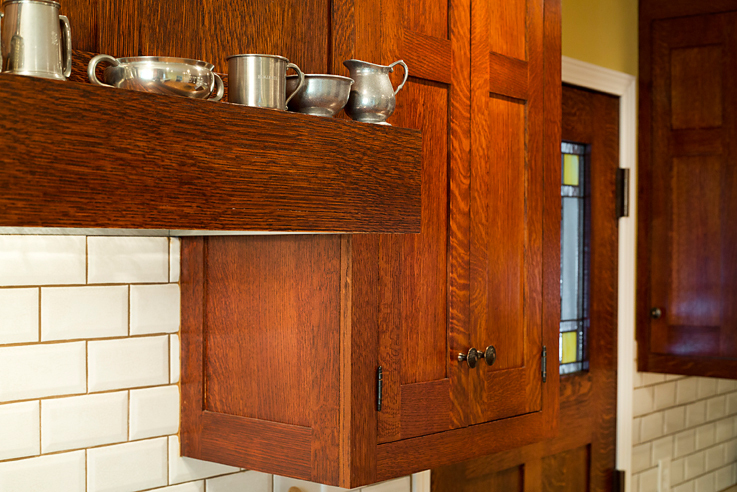 The custom made inset cabinets are hand finished, giving them the look of heirloom furniture. 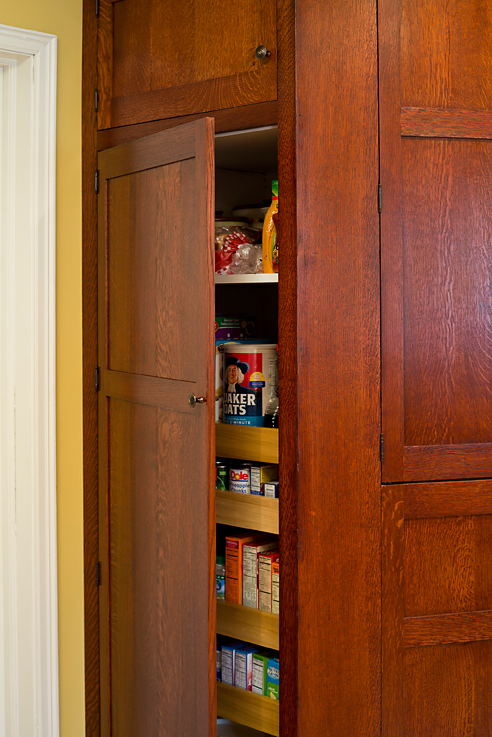 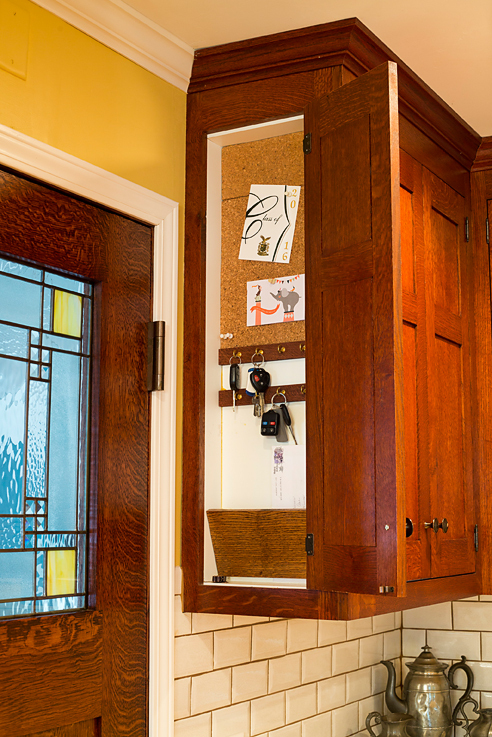 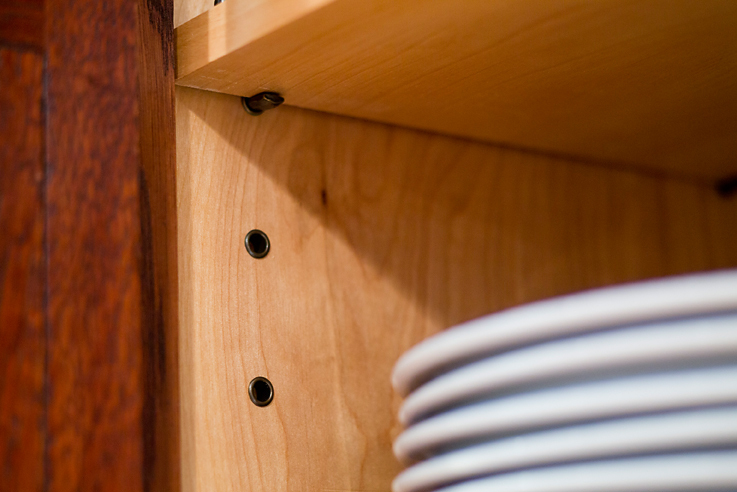 An small door on the end of a cabinet hides the perfect place to store notes, keys or mail.